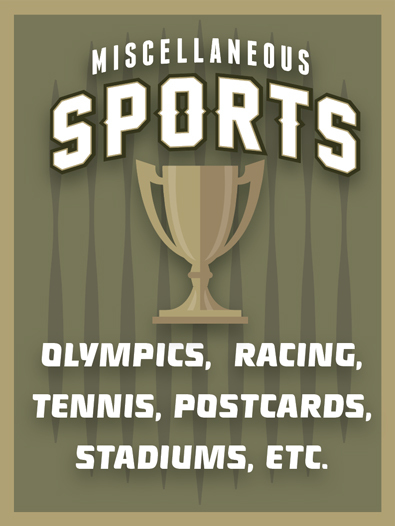 In our Miscellaneous Sports and Leagues Memorabilia collection, many hard to categorize items are gathered under this category. Check out our New Stadium Postcard collection (and check back for many updates to come). We have big-time sports, such as the Olympics, Track & Field, Auto Racing, Boat Racing, plus other League-based team sports such as World Team Tennis, Volleyball and Lacrosse. Plus, even more obscure items like Rodeo, Jai Alai and Bull Fighting. If there ever was a Dodgeball League, you can bet it would have been listed here.